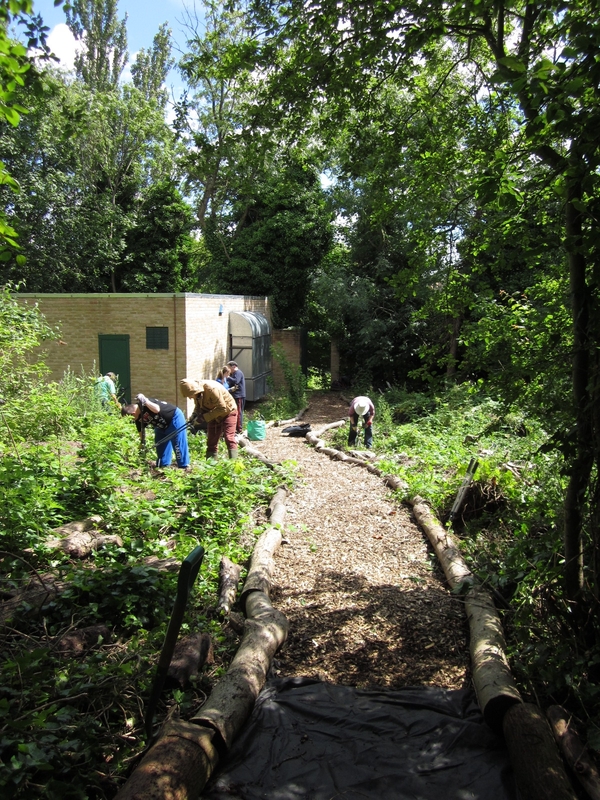 Once again the Nature’s Gym volunteers found themselves laying a woodchip footpath. 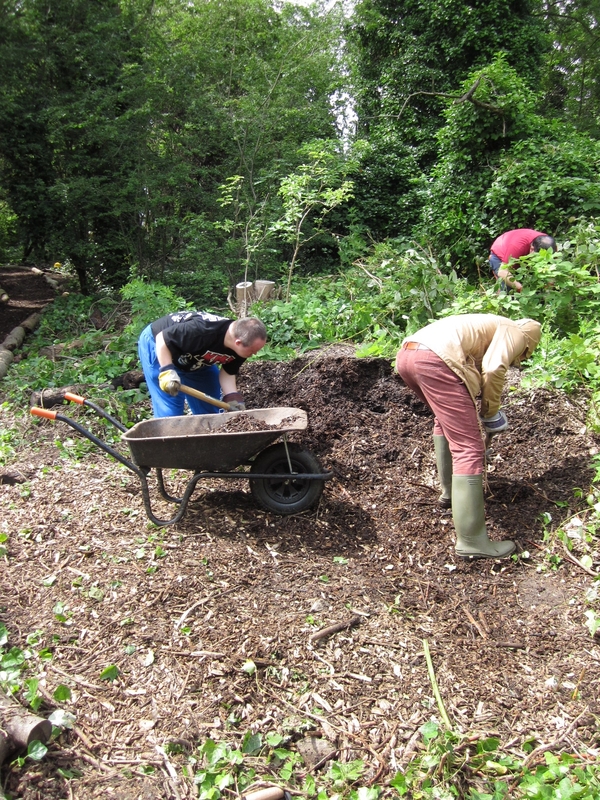 They have previously done it at a Local School , De Frene Road allotments and Burnt Ash Pond. 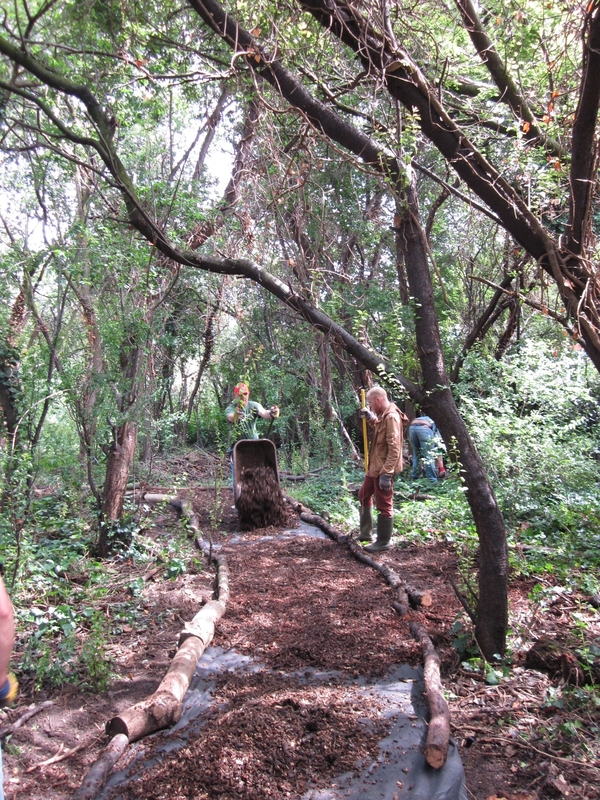 A few months ago they also started a new path at Iona Close Orchard. The last time we were at this site we managed to improve our woodchip path making skills and were able to build on these on Thursday. 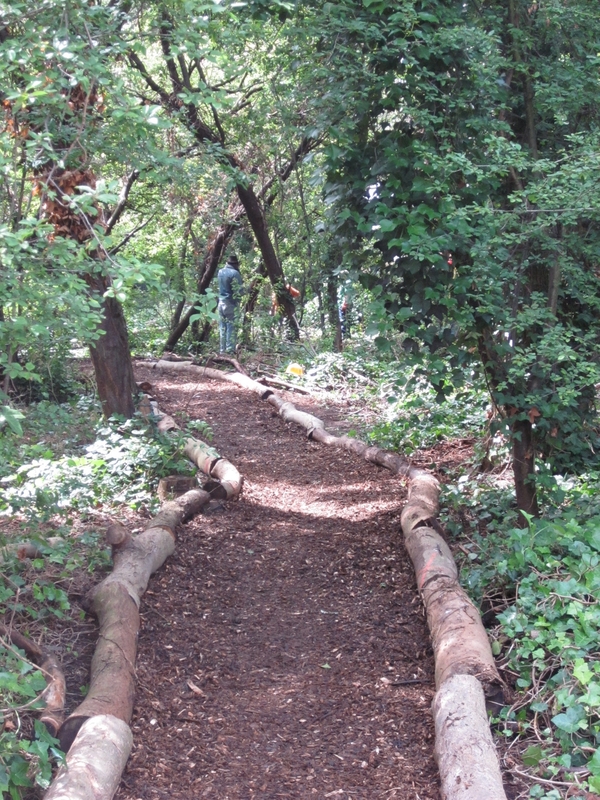 We managed to lay about 30m of path last time and we could already see how much the site was going to benefit from the new path. Getting ready to continue what we stared! 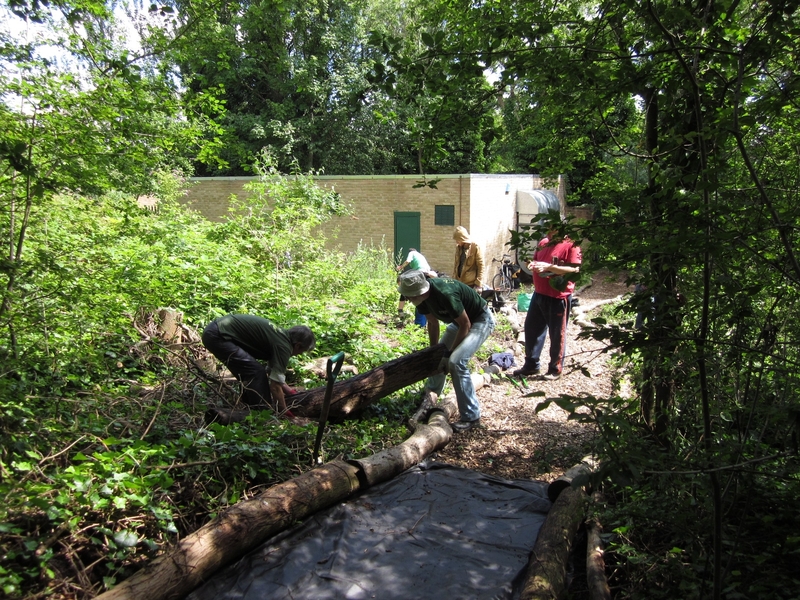 Luckily a lot of the hard work in preparing the ground for the new path had been done at our last session here, so while some people continued laying out the root barrier, others could get to work on barrowing and raking more woodchip, whiles others looked for logs that we could use for the edging. 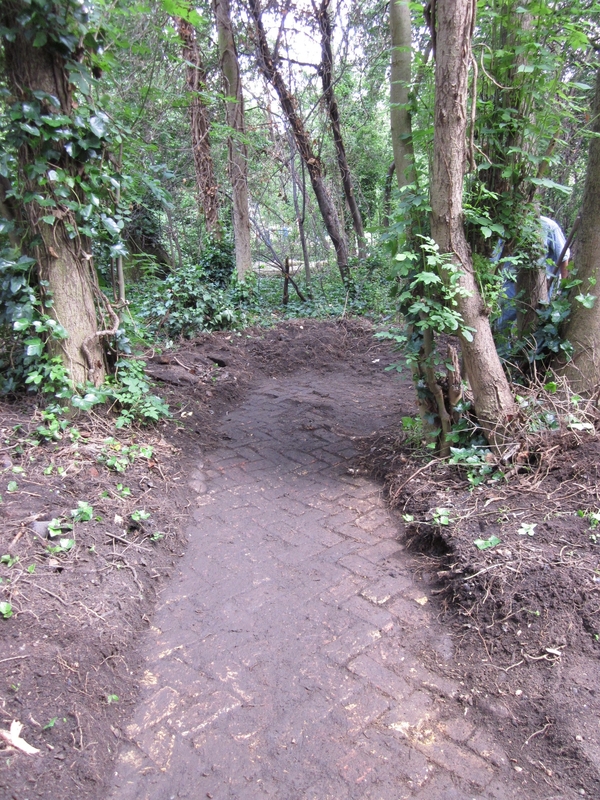 While some people were working on the path, other volunteers were busy clearing up a fallen tree, removing bindweed and creeping thistle from the meadow area, clearing around the fruit trees, cutting back bramble and uncovering more of the path we found last time! So as you can see it was a very busy Thursday! There is of course more to do….